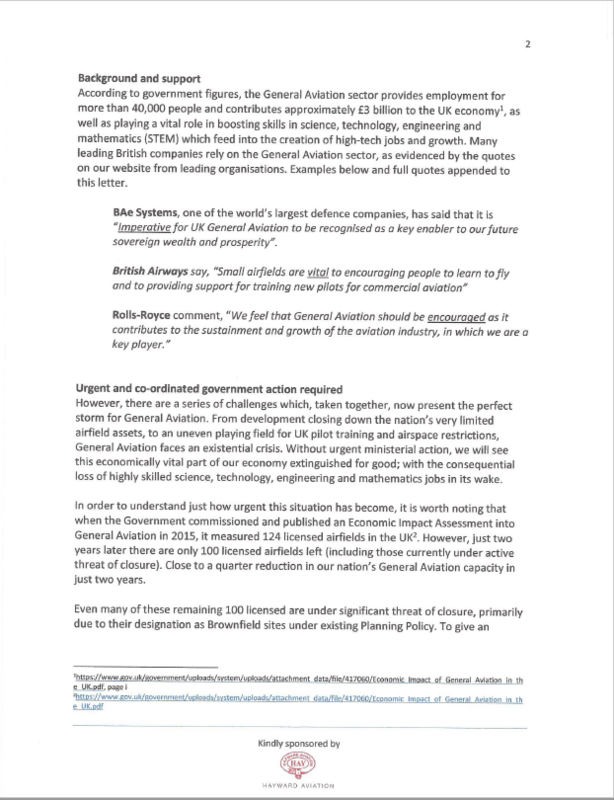 The All-Party Parliamentary Group (APPG) on General Aviation has written to the Secretaries of State for Transport and Communities and Local Government, outlining the existential crisis facing the General Aviation sector and detailing five key areas that Government should urgently address to avoid the loss of an important part of the UK’s economy. 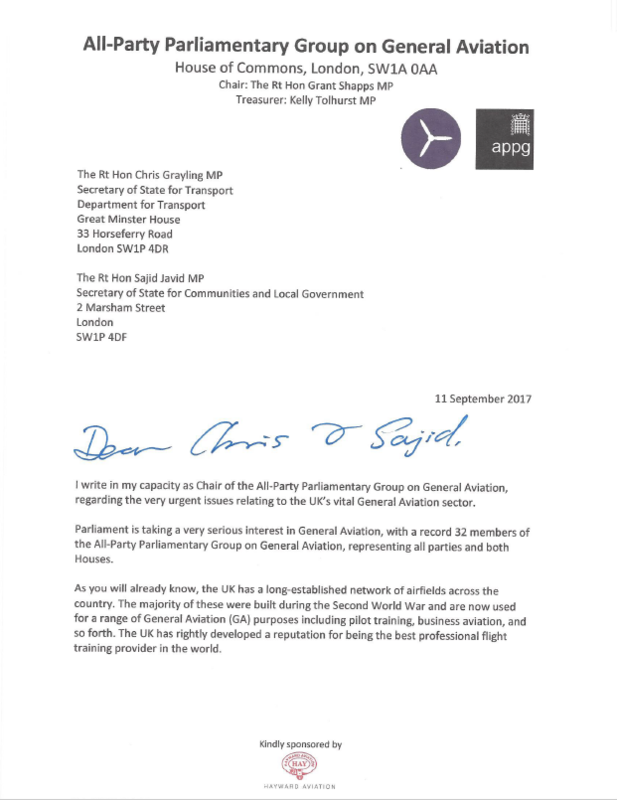 Writing to Chris Grayling MP, Transport Secretary, and Sajid Javid MP, Communities and Local Government Secretary, the Chair of the APPG Grant Shapps MP explained that there are a series of challenges which present a “perfect storm” for General Aviation – from the closing down of airfield assets across the county, to the uneven playing field for pilot training and airspace restrictions. 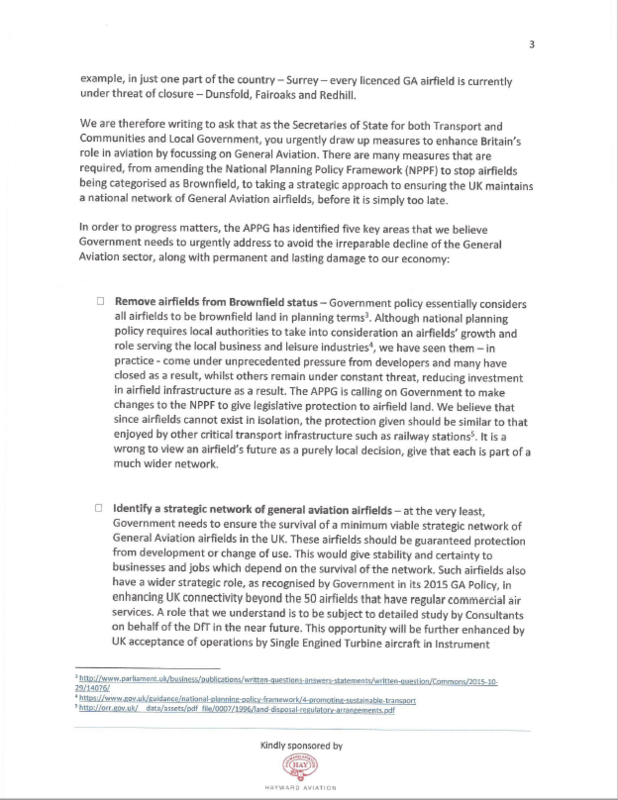 The APPG is calling on the Government to urgently address five areas of policy which would ensure the sector’s survival, including removing airfields from ‘brownfield’ status in the National Planning Policy Framework; identifying a strategic network of General Aviation airfields to give stability and certainty to businesses and jobs which depend on them; and giving the Civil Aviation Authority a broader safeguarding role to prevent nearby developments from putting pressure on airfields to cease activities. 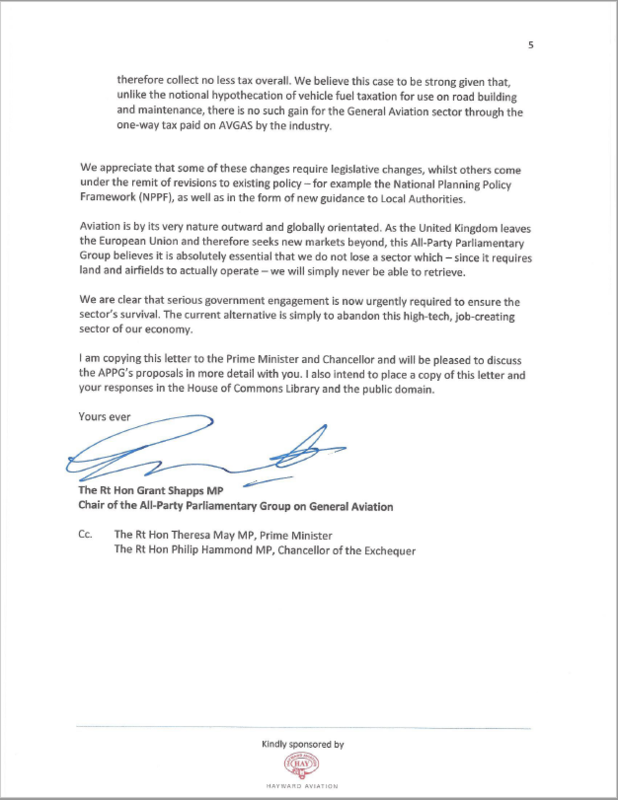 The full letter to the Secretaries of State can be found below. 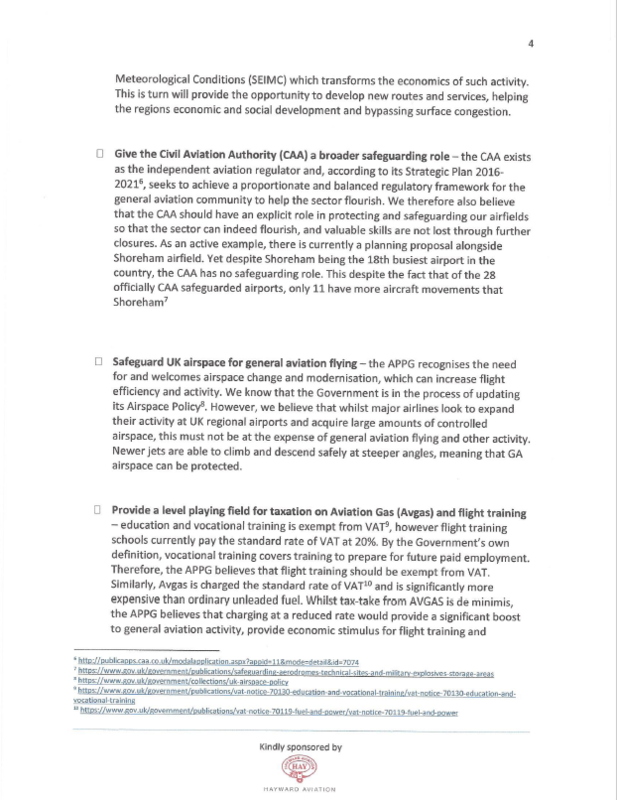 Grant Shapps MP, Chair of the All-Party Parliamentary Group, said: “We have written to both Secretaries of State to directly bring to their attention the very clear crisis that General Aviation is facing. 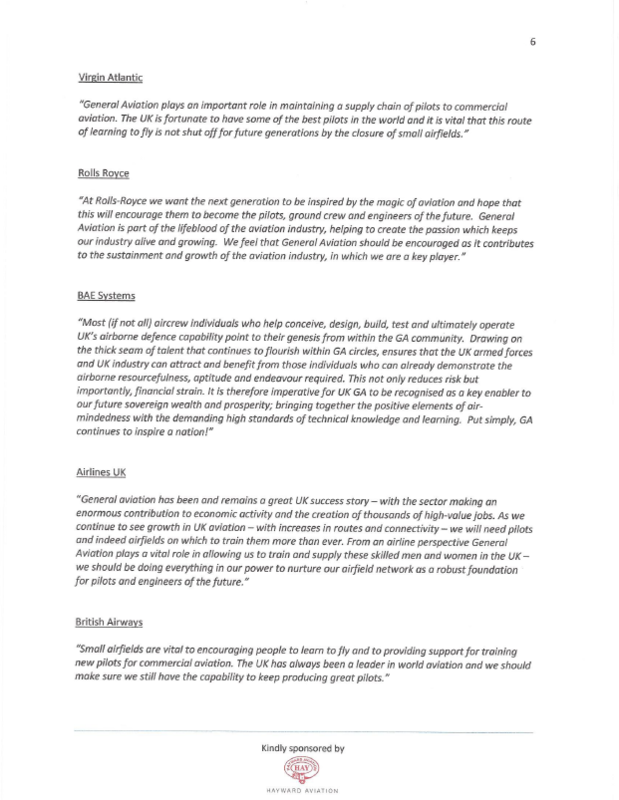 Up and down the country we are seeing valuable airfield assets closing, and with it the loss of highly-skilled jobs in science, technology, engineering and mathematics (STEM).